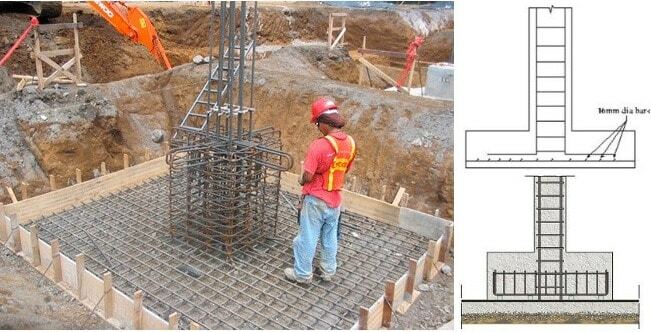 How to Design Economical Foundations and Prevent Construction Issues? Home/ Structural Engineering / Foundation Design / How to Design Economical Foundations and Prevent Construction Issues at Site? 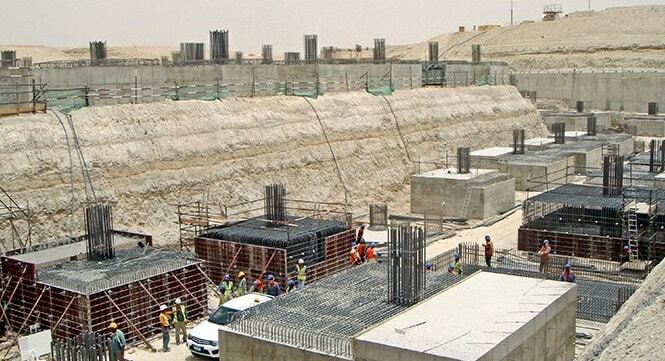 There are various considerations for design of economical foundations and practical construction issues to prevent problems in future and make the foundation economical. These practical construction problems for foundation and its costs are discussed in the following sections. It is recommended to make the foundation as shallow as possible. The size should be optimized to sufficiently support loads and withstand environmental influences and excessive foundation depth and width should be prevented. The importance of this measure would be paramount in the case where the foundation is constructed in fully saturated soil in which simple issues are exacerbated due to water presence and the cost is almost doubled compared to the foundation constructed in dry soil condition. This might be obtained through a continuous revision of construction techniques and costs because not only the economy of design varies considerably but also applicable standard might be out dated. There are certain design and construction aspects that designers must be aware. For example, assumptions made during the design, ground condition variability and practicality of construction. If the designer has enough capability to understand these crucial aspects of the foundation design and construction, then not only will the final design be economical but also its construction can be executed satisfactorily and undesired events can be prevented, both during construction and in the future. The designer is encouraged to make his or her design in such a way that foundation structures does not need complex and expensive formworks. It is advised to practice utmost attention on the foundation constructability. For instance, there were cases in which the site engineer had to inspect 2m deep excavation from ground surface to decide on whether the foundation base should be constructed on compacted soil layer or on the bottom of the excavation. So, this inspection could have been made on trial pits rather than on such deep foundation that need more time to reach a feasible decision. 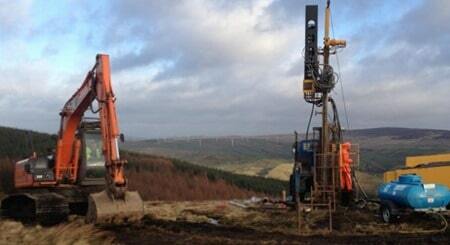 Another issue that may be encountered is the reliability of soil investigation report. If the investigation had not been conducted properly, then the foundation will face problems in the future and sometimes problems arises and is observed during construction. Cases have been reported in which the cost of the foundation construction has increased due to incompetent soil investigation. So, if the soil exploration is not finalized properly, then it cannot be guaranteed that the construction progress as it planned. It may be found that the cost of foundation construction can be reduced or low budget would be required if slow construction procedure is used. However, this may not be always true because there are circumstances in which fast construction would provide more economical foundation structure. The project site condition plays significant role on whether accelerated or slow construction procedure should be utilized. Fast construction is desired especially in the saturated soil condition because dewatering for long time would be considerably expensive. Sometimes dewatering system cannot operate for long time without damages or problems, as a result underground water would increase construction cost considerably. In this case, the best solution is accelerated construction. It might be argued that the cost of fast construction is high but this is will be compensated by future maintenance and repair cost that may be needed when slow Construction is used. The designer should understand the influence of machines and excavations on the structures close to the construction site. Compaction of ground by compaction plant, deterioration of soil exposed due to excavation in aggressive environment, seasonal water table fluctuation and piling vibrations are examples of foundation construction effects that could cause damages to structures and utilities close to the project. The designer should appreciate the influence of changes in the length, shape and rigidity of the foundation, in addition to joints required to accommodate settlement and movement of the foundation. There are various factors that could lead to deterioration and damage foundation after it has been constructed. Ground movement due to shrinkage of clay and frost heave, influence of trees, sulfate attack on concrete, construction of new structure close to the building and placement of new equipment in neighboring factory that generate vibrations are all examples of factors that could affect foundation. Therefore, the designer needs to take these factors into consideration at the design stage. 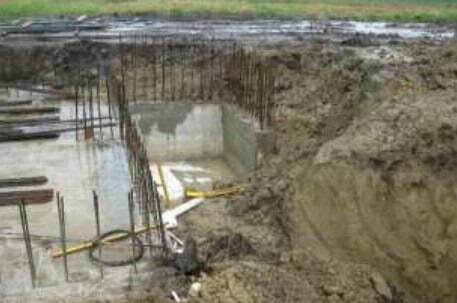 How to Protect Foundation Structures from Soils and Groundwater Attacks?